Feel free to browse here or on page two of this blog. 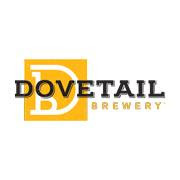 Supporters of Judge Cecilia Anne Horan's bid to maintain her countywide seat are planning a "neighborhood fundraiser" for their candidate on Tuesday, November 14, from 6:00 to 7:30 p.m., at the Dovetail Brewery, 1800 W. Belle Plaine, Chicago. The "suggested contribution" for this event is $25, but sponsorships are available ($125 - Friend, $250 - Supporter, $500 - Patron, $1,000 - Chair). The event promoters advise that Dovetail is "kid- and dog-friendly," and that there will be free pizza and a cash bar. Hon. Patrick O’Connor, Hon. Lucy Moog, Hon. Mike Volini, Hon. Mary Ann Smith, Hon. James Cappleman, Hon. Carol Ronen, Hon. Marion Volini, Hon. Raymond Lopez, Hon. Paul Rosenfeld, and Hon. Brendan Reilly are the listed hosts for this fundraiser. For more information about this event, or to reserve tickets, email Eric Nelson at eric@blueprintcampaignconsulting.com or call him at (773) 562-9559. The Jonathan Clark Green campaign has announced two upcoming weekend events. Green's supporters have arranged for their candidate on Sunday, November 12, from 11:00 a.m. to 1:00 p.m., at Westwood Tavern, 1385 N. Meachum Road, in Schaumburg. Tickets for this event are $50 each, but sponsorships are available (Supporter - $250, Sponsor - $500, Chair - $1,000). 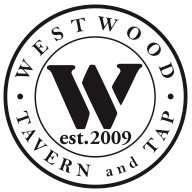 The listed hosts for the Westwood Tavern fundraiser are Mike Cudzik, Schaumburg Township Committeeman; Steve Caramelli, Hanover Township Committeeman; and Ted Mason, Elk Grove Township Committeeman. For more information about this event, or to reserve tickets, email Terri Bernstein at terri@jonathanclarkgreen.com or call her at (773) 868-4175. Meanwhile, on Sunday, November 5, the Park Ridge Women's Committee will host a "Meet & Greet" with the candidate from 1:00 to 3:00 p.m. in Room B of the O'Connor Building at Prospect Park, 733 N. Prospect Ave. in Park Ridge. To reserve a place at this event, please email amybreaux5@yahoo.com or call her at (224) 622-8222. Joanne Barbaria Johnson is the Event Chair, Amy Breaux is the Vice Chair. Monica DeBartolo, Nancy DeBiasi, and Eva Sheehan are also on the host committee for this event. Supporters of Peter Michael Gonzalez's countywide judicial bid have planned a fundraiser for their candidate this coming Wednesday, November 1, from 5:00 to 7:00 p.m., at Scharf Banks Marmor LLC, 333 West Wacker Drive, Suite 450. The host committee for this event includes Aurora Austriaco, Hon. Helaine Berger (Ret. ), Deanna Blair, Deane Brown, Alia Caravelli, Judy Dever, Corinne Heggie, Jennifer Irmen, Kristen Kozlowski Lyons, Anna Krolikowska, Lori Levin, Kristin Barnette McCarthy, Gail Morse, Adria Mossing, Dina Ninfo, Ngozi Okorafor, Gena Whitson-Owen, Jennifer Sender, and Karie Valentino. Tickets for the event are $100 each, but sponsorships are available ($250 - Host, $500 - Promoter, $1,000 Campaign Leader). For more information about the event, or to reserve tickets, email gonzalez4judge@gmail.com. An observant reader tipped me to the candidacy of Michael Hayes in the 3rd Subcircuit. Hayes' supporters have launched a campaign website on his behalf. That's a link to the site in the preceding sentence; a link has also been added to the blog Sidebar. There is also a campaign Facebook page. Hayes has been licensed as an attorney in Illinois since 2002. He practices from an address in Chicago's Garfield Ridge neighborhood. According to his campaign bio, Hayes joined the Chicago Police Department after graduating from DePaul. While still serving as a police officer, Hayes enrolled at John Marshall Law School and earned his law degree. He has since worked for the Cook County State's Attorney's office and as an attorney for the Chicago Police Department. Hayes is an Army veteran, according to his campaign bio, serving as a sergeant leading an "elite platoon charged with combating nuclear, biological and chemical threats against U.S. troops" during Operations Desert Shield and Desert Storm. Supporters of Christine Svenson's bid for the Republican nomination for the O'Donnell vacancy in the 13th Subcircuit are planning a fundraiser for their candidate this coming Tuesday, October 24, from 5:30 to 7:30 p.m., at the Saper Law Officers, 505 N. LaSalle Street. Appetizers and drinks will be provided. Tickets for the event are $100 each, but sponsorships are available (White - $500, Gray - $1,000, and Purple - $2,500). For more information about the fundraiser, or to reserve tickets, email Info@SvensonForJudge.com or call (847) 436-3689. 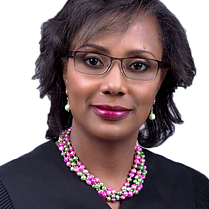 Supporters of Judge Toya T. Harvey's campaign to hold the 2nd Subcircuit seat to which she was appointed this past March have launched a campaign website for their candidate. That's a link to the campaign website in the preceding sentence; a link has also been added to the blog Sidebar. Licensed as an attorney in Illinois since 1995, according to ARDC, Harvey was a career Assistant Public Defender before her appointment to the bench. A life member of Alpha Kappa Alpha Sorority, Inc., according to her campaign bio, Harvey "currently serves on various boards including serving as the Board Chairman for Family Christian Healthcare Center, FQHC and Executive Board member for the juvenile diversion organization, Life Choices We Make." She is also a longtime Girl Scout Troop Leader. Harvey's supporters have scheduled a fundraiser for their candidate on Thursday, November 2, from 6:00 to 9:00 p.m., at Intimo Martini Lounge, 7068 183rd Street, Tinley Park. Dawn the Dancin Deeva will provide a line dancing demonstration at 7:00 p.m. The minimum donation for this event is $20. Tickets may be purchased at the door or via this page of the candidate's website. Supporters of Jack Hagerty's countywide judicial bid have launched a campaign website on his behalf. That's a link to the site in the preceding sentence; a link has also been added to the blog Sidebar. Licensed in Illinois since 1990, according to ARDC, Hagerty received the endorsement of the Cook County Democratic Party this past August. Hagerty is currently a partner in the firm of Taft Stettinius & Hollister LLP (formerly Shefsky & Froelich, Ltd.). He joined that firm in 1994, after serving as an associate with Phelan, Pope & John, Ltd. According to his campaign bio, Hagerty "has represented public and privately held corporations and various units of local government in a wide variety of complex litigation in state and federal courts," including the successful representation of "the City of Chicago in an action brought seeking to have the City’s Minority Women Business Owners ordinance declared unconstitutional." Hagerty has served as outside counsel for Streetwise, according to his campaign bio, and is also a Certified Public Accountant. Hagerty is one of the co-hosts of the long-running Hagerty Family Irish Hour, heard Saturday mornings on WPNA, 1490 AM. He also serves, according to his campaign bio, as a member of the Board of Directors of the Irish Fellowship Club, a member of the Board of Directors of the Evans Scholars, a member of the Board of Directors of Christopher and Dana Reeve Foundation, and as an Associate Member of the Chicago Blackhawks Alumni Association. 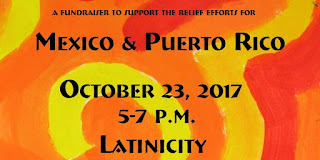 The Diversity Scholarship Foundation is leading the charge on this one, but a host of individuals and organizations have pitched in to sponsor this fundraiser for earthquake and hurricane relief efforts in Mexico and Puerto Rico. 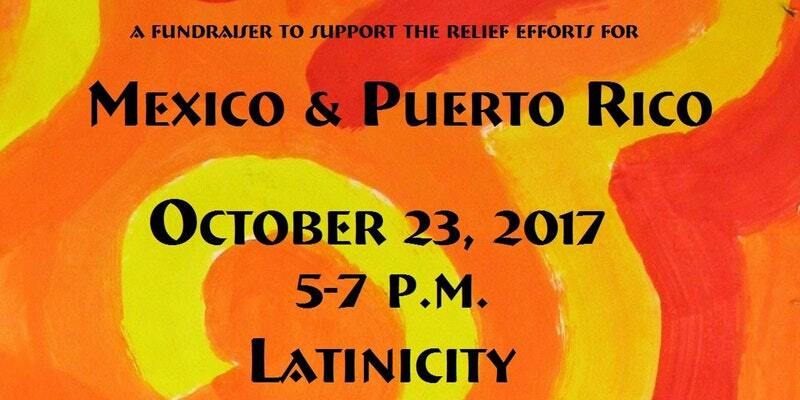 Tickets for the event, to be held Monday, October 23, from 5:00 to 7:00 p.m., at Latinicity, 108 N. State Street are $100 each, but the Diversity Scholarship Foundation website tickets page offers giving options of up to $1,000, including (of course) sponsorships (Azul sponsor - $500, Oro sponsor - $500, and Diamente sponsor - $1,000). The Diversity Scholarship Foundation website states, "All profit generated from this event will be split equally between the Mexican Consul and The Puerto Rican Agenda." Honored guests at the event will include include U.S. Congressman Luis V. Gutiérrez, Alternate Consul General of Mexico Miguel Antonio Cuesta Zarco, and Pedro Soler of The Law Offices of Pedro F. Soler. Co-sponsors for this event include Clifford Law Offices, Floyd D. Perkins of Nixon Peabody LLP, the Hispanic Lawyers Association of Illinois, Hon. Jesse G. Reyes, the Puerto Rican Bar Association of Illinois, and the Lesbian & Gay Bar Association of Chicago. the Women's Bar Association of Illinois. Supporters of Judge Clare Joyce Quish's bid to retain her countywide seat are planning a fundraiser for their candidate on Monday, October 30, from 5:00 to 6:30 p.m., at The Marq, 60 W. Adams St. in the Loop. Stacy Bardo, Margaret Fitzsimmons, Patrick Dwyer III, and Catherine Basque Weiler are the listed hosts for the event. Tickets are priced at $50 each, but sponsorships are available ($150 - Supporter, $250 - Sponsor, $500 - Patron, $1,000 Chair). For more information about the event, or to reserve tickets, call Eric Nelson at (773) 562-9559 or email eric@blueprintcampaignconsulting. Yesterday morning, at the Harlem Blue Line station, if I'd been more awake, or if I'd been carrying less stuff, I would have snapped a picture of attorney Thomas J. Gabryszewski soliciting signatures for his nominating petition for the 10th Subcircuit Suriano vacancy. But I did not take a picture. Still, Gabryszewski, a first-time judicial candidate, is circulating petitions and plans to make a run. There's no campaign website yet, he told me, though one is planned. When I get it, I'll add it to the collection in the blog Sidebar. Gabryszewski has been licensed as an attorney in Illinois since 1990, according to ARDC. He practices from his own law office on North Michigan Avenue. Supporters of Judge Adrienne Elaine Davis's bid to hold the 2nd Subcircuit seat to which she was appointed this past March are planning a fundraiser for their candidate on Monday, October 16, from 5:30 to 7:30 p.m., at the Licorice Lounge, 607 E. 87th Street, Chicago. Donna Grant, Andrea Bonds, Maggie Muhammad, and Melvin Worley are the listed hosts for this event. Food will be provided; there will be a cash bar. No specific ticket price is posted; rather, contributions are "appreciated." For more information about the event, or to reserve a place, email Citizens4judgeadriennedavis@gmail.com. 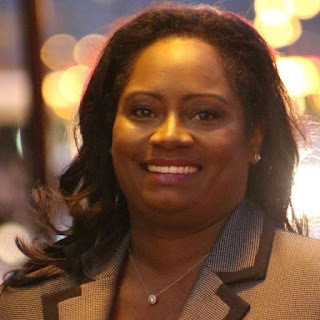 Supporters of Caroline Jamieson Golden's 4th Subcircuit bid are planning a fundraiser for their candidate on Tuesday, October 24, from 5:00 to 7:00 p.m., at Swift & Sons, 1000 W. Fulton Street, Chicago. Rob and Kathleen Katz are the listed hosts for this event. Tickets are priced at $150 each, but sponsorships are available ($250 - Silver, $500 - Gold, $1,000 Platinum, $2,500 - Chairman). Tickets will be available at the door. For more information, or to reserve tickets, email goldenforjudge@gmail.com. Supporters of 10th Subcircuit candidate Colleen Daly are planning a fundraiser for their candidate on Thursday, October 19, from 6:00 to 8:00 p.m., at the Nil Tap, 5734 N. Elston Ave., Chicago. Tickets for the event are $50 each, but sponsorships are available (Bronze Host - $150, Silver Host - $250, Gold Host - $500, Platinum Host - $1,000, Chair - $2,500). For more information about the event, or to reserve tickets, email renee@dalyforjudge.com. The 2017 Diversity Scholarship Foundation Unity Dinner and 15th Swearing-In of Bar Presidents Ceremony is set for Wednesday, November 29 in the Grand Ballroom of the Chicago Hilton, 720 South Michigan Avenue. The Reception begins at 5:00 p.m.; the dinner and program follows at 6:00 p.m. The Diversity Scholarship Foundation, NFP and the John Marshall Law School are presenting this event, and the organizers are looking for individuals or firms to purchase ads for the event program ad book or to assist in sponsoring the event. More information about either option is available by clicking on the links in the preceding sentence or by emailing the Foundation's Director of Communications, Abigail Sue, at dsfchicago@gmail.com. Individual tickets for the event are $150 each and may be obtained at this site. Supporters of Judge Kent Delgado's 6th Subcircuit election bid are planning a Monday, October 23 reception for their candidate, from 5:30 to 7:30 p.m., at the Billy Goat Tavern, 1535 W. Madison St.
Tickets for the event are $100 each (government employees may obtain discounted $50 tickets), but sponsorships are available (Neighbor - $250, Friend - $500, Patron - $1,000, Benefactor - $2,500). Tickets will be available at the door. To reserve advance tickets, or for more information, email neighborsforjudgedelgado@gmail.com or click on this link (also accessible through the candidate's campaign website). 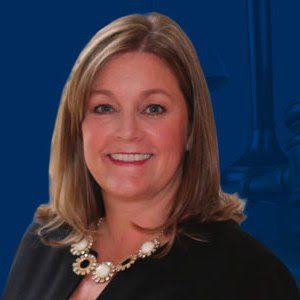 Attorney Christine Svenson has announced her intention to seek the Republican nomination for the O'Donnell vacancy in the 13th Subcircuit in the March 2018 primary. Her supporters recently launched a campaign website on her behalf. That's a link to the site in the preceding sentence; a link has also been added to the blog Sidebar. 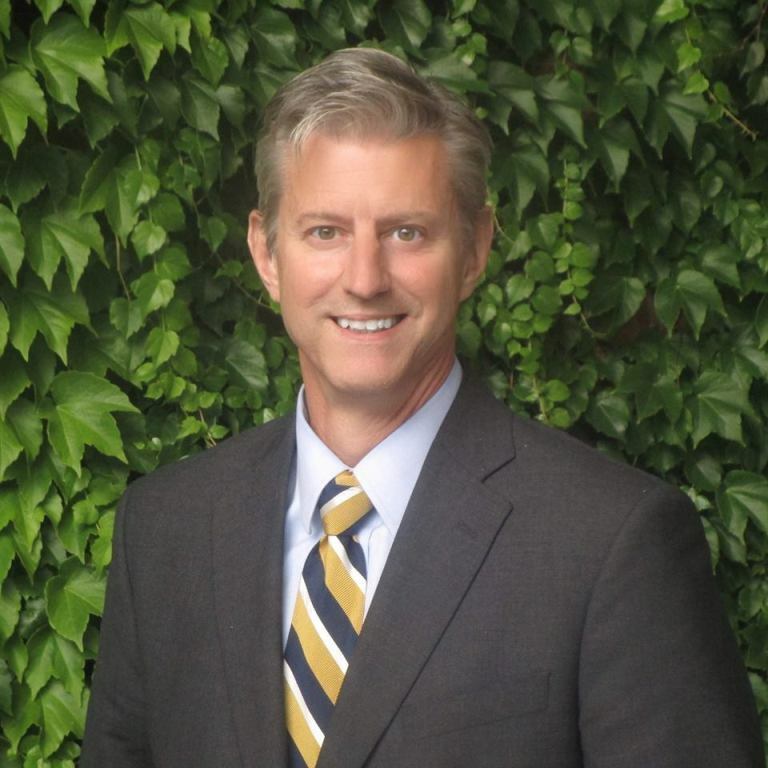 Svenson has been licensed as an attorney in Illinois since 1995, according to ARDC. Her campaign bio notes that she has headed her own law firm since 2008. Before that, according to her LinkedIn page, Svenson was a partner in the firm of Stone and Moore, Chtd. Svenson's campaign bio notes that she "served as General Counsel and Parliamentarian for the Cook County Republican Party, Committeewoman for the Palatine Township Republican Organization, and an officer for the Republican National Lawyers Association." A lifelong resident of the far northwestern suburbs, Svenson is a graduate of Barrington High School. Her bio also notes that Svenson is fluent in French and "proficient" in both Spanish and Italian. Supporters of Judge Myron "Mike" Mackoff's bid to hold his 8th Subcircuit seat are planning a fundraiser for their candidate on Tuesday, October 24, from 5:00 to 7:30 p.m., at the law offices of Schiller, DuCanto & Fleck, 200 N. LaSalle St., 3rd floor. Tickets for the event are priced at $125 each, but sponsorships are available ($250 - Silver, $500 - Gold, $1,000 - Platinum, $1,000+ - Platinum Plus). Tickets will be available at the door. For more information about the event, or to reserve tickets, click on this page of the candidate's website, or email judgemackoffevents@gmail.com. Supporters of Jonathan Clark Green's countywide judicial candidacy have launched a campaign website for their candidate. That's a link to the site in the preceding sentence; a link has also been added to the blog Sidebar. In addition, Green's supporters have announced a fundraiser for their candidate, to be held next Wednesday, October 11, from 5:30 to 7:30 p.m., at Petterino's, 150 N. Dearborn Street. Tickets are $75 each, but sponsorships are available (Supporter - $250, Sponsor - $500, Chair - $1,000). The Event Chairs for this gathering are 44th Ward Ald. Tom Tunney, Water Reclamation District Commissioner Debra Shore, Daniel Fusco, Todd Smith, and Melvin L. Brooks. For more information about the event, or to order tickets, call (773) 868-4175 or email terri@jonathanclarkgreen.com. Green was slated for the countywide Clay vacancy by the Cook County Democratic Party this past August. Green is currently a Senior Counsel in the City of Chicago Department of Law, according to his campaign biography. The campaign bio notes that Green was formerly in private practice with Green & Green, P.C. and of counsel to Rock, Fusco & Garvey, Ltd. Green has also worked as an Assistant Attorney General in the Office of the Illinois Attorney General and on the legal staff of the Illinois House of Representatives. 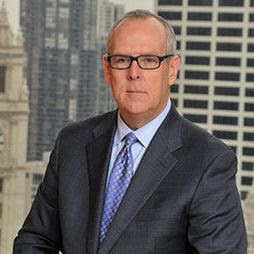 Green has been licensed as an attorney in Illinois since 1986. Per email received, the Alliance of Illinois Judges still has a few tickets left for its Second Annual Cocktail Reception tonight, from 5:00 to 7:00 p.m., at Plymouth Rooftop, 327 S. Plymouth Ct. Admission is $50, which includes drinks and appetizers. To obtain one of these few remaining tickets, click on this link of the AIJ website. The Illinois Judges Foundation will host its annual reception on Wednesday, October 11, from 5:00 to 7:00 p.m., at the Old Crow Smokehouse, 149 W. Kinzie St., in River North. The Illinois Judges Foundation is the charitable arm of the Illinois Judges Association. Illinois Supreme Court Chief Justice Lloyd A. Karmeier and retired 4th District Appellate Court Justice Carol Pope (who was president of the Illinois Judges Association in 2011-12) will be honored as "judicial icons" at the event. Also, the winners of the 2017 Harold Sullivan Scholarship Recipients will be announced. Proceeds from the reception support the charitable and educational programs of the Illinois Judges Association, including in particular the annual Harold Sullivan Scholarships. Tickets for the event are $100 each. A buffet and refreshments will be provided. For more information, or to order tickets, call IJF Executive Director Kevin Fagan at (312) 554-2008 or click on this page of the IJF website. Running for Judge is never easy under any circumstances. If you aren’t slated by the party, you know how difficult it can be to even get on the ballot. Now, even if you’re slated the party wants you to get some of your own signatures.That’s where Victory Research comes in. Since 2012 we have successfully put more than two dozen judicial candidates on the ballot. Including our work for Independent Maps, we collected more than 100,000 valid signatures during the 2016 election cycle. This year, it is your turn. If you hire us you WILL be on the ballot. Then, with the other services we offer, we will help you win your campaign. Please visit our website at www.illinoispolitics.webs.com, then call us at 312-388-1782, and ask for Mr. Murphy to find out how we can help you get on the ballot and win your campaign for Judge this year. Supporters of Judge Travis Richardson's bid to hold his 2nd Subcircuit seat are planning a fundraiser for their candidate on Tuesday, November 14, from 6:00 to 8:00 p.m., at Leona's on Stony, 9156 S. Stony Island. Tickets for the event are $100 each, but sponsorships are available ($250 - Friend, $500 - Host, $1,000 - Co-Chair). The host committee for the event (listed as "in formation") consists of 8th Ward Ald. and Committeeman Michelle Harris, 21st Ward Ald. and Committeeman Howard B. Brookins, Jr., Sen. Donne E. Trotter (17th), and Cook County Commissioner Stanley Moore (4th). For more information about the event, or to procure tickets, email info@Richardson4Judge.com. 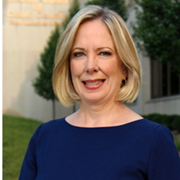 Two October fundraisers have been announced for Judge Oran F. Whiting. The first of these is set for this Wednesday, October 4, from 5:30 to 7:30 p.m., at Dr. Yates LifeStyle Med, 213 North Stetson Avenue. Individual tickets are $75 each, but sponsorships are available (Friend - $150, Supporter - $250, Host - $750). Dr. William D. Yates, M.D., and Jeff Katz, Esq. are the hosts for the event. The honorary hosts are Cong. Danny Davis and former State Rep. Lauren Beth Gash. To reserve tickets for the event, click here. The second fundraiser for Judge Whiting will be held on Tuesday, October 24, from 5:00 to 7:00 p.m., at the law offices of John L. Elias & Associates, on the 28th floor of the Willoughby Tower, 8 S. Michigan Ave. The Elias firm; Arden Baranowski, of the Berkshire Hathaway HomeServices KoenigRubloff Realty Group; and Marion Penn, of the Advisor’s Title Network, are the hosts of this event. Cong. Davis and former State Rep. Gash are again serving as honorary hosts. Tickets for this event are also priced at $75 apiece, with the same sponsorship opportunities available (Friend - $150, Supporter - $250, Host - $750). To reserve tickets for this event, click here. 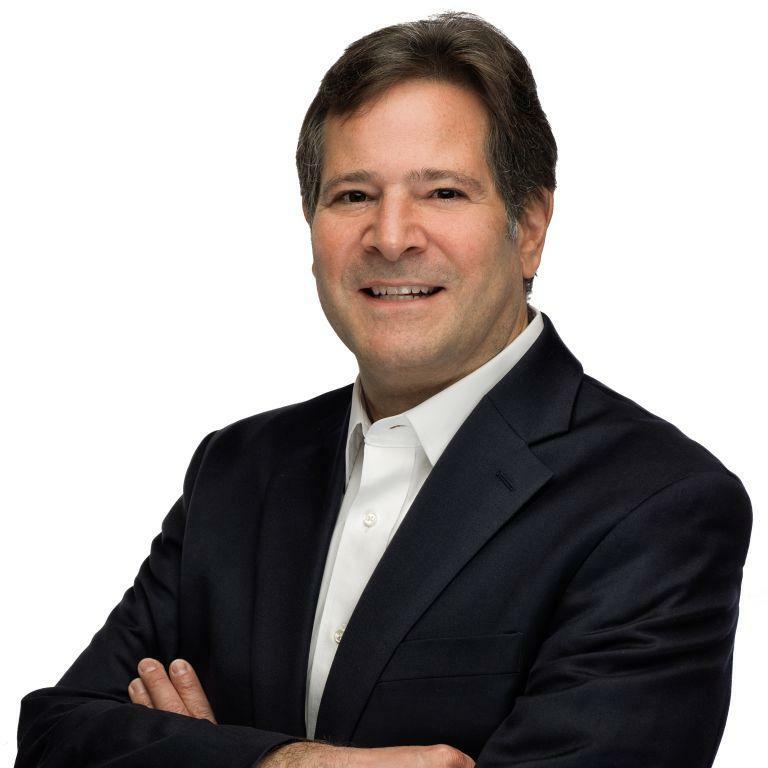 Supporters of Martin D. Reggi's 4th Subcircuit candidacy are planning a fundraiser for their candidate on Thursday, October 5, from 5:00 to 7:00 p.m., at FitzGerald's Side Bar, 6615 West Roosevelt Road, Berwyn. The event will be catered by Freddy's Italian; wine and beer will be served. Jazz will be served up by Interplay Duo. Marco Raimondi is the listed host for the event. Tickets are $75 apiece, but sponsorships are available (VIP/Friends - $100, Silver - $250, Gold - $500, Platinum - $1,000). For more information, or to reserve tickets, email reggiforjudge@gmail.com. A reader called last week to advise that Lisa A. Copeland will be a candidate in the March 2018 Democratic primary. That's a link to her campaign site in the preceding sentence. 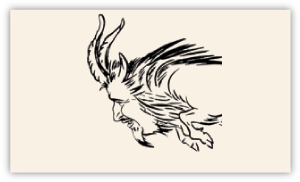 A link has also been added to the blog Sidebar. Copland fell short in a bid for a 1st Subcircuit vacancy in 2016. Licensed as an attorney in Illinois since 1997, Copland is the proprietor of Lisa A. Copland, P.C., with an office on East Wacker Drive. Copland's campaign is holding a fundraiser tomorrow, Monday, October 2, from 6:00 to 8:00 p.m., at The Bar 10 Doors, 1251 (or 1259) W. Taylor (depending on which website one consults). Tickets are $150 each, and sponsorships are presumably still available (Supporter - $250, Sponsor - $500, or Host - $1,000). For more information, email lisacopland@gmail.com. An anonymous reader left a comment mentioning that Assistant State's Attorney Kathaleen Lanahan is circulating petitions for a countywide vacancy. I haven't seen the petitions, so I won't mention the targeted vacancy, but I have found a campaign website; it is linked in the preceding sentence, and a link has also been added to the blog Sidebar. Lanahan has been licensed as an attorney since 1993, according to ARDC. She began her legal career with the Board of Tax Appeals, but soon moved to the State's Attorney's Office where she is now, according to her campaign bio, the lead attorney in a felony courtroom. Lanahan's campaign website touts two upcoming fundraisers, the first of these being set for Thursday, October 5, from 5:30 to 7:30 p.m., at Reilly's Daughter, 4010 W. 111th St., Oak Lawn. Tickets are $100 each, but sponsorships are available (Friend - $250, Supporter - $500, Sponsor - $1,000). For more information, email jack@lanahanforjudge.com. Caroline Jamieson Golden has announced plans to seek a 4th Subcircuit vacancy in the 2018 Democratic Primary. Her supporters recently launched a campaign website in support of her candidacy. That's a link to the website in the preceding sentence; a link has also been added to the blog Sidebar. Licensed as an attorney in Illinois since 1992, Golden is currently an attorney with the Sotos Law Firm, P.C., handling civil rights defense and appellate work. Before that, Golden was a litigation partner with Neal, Gerber & Eisenberg. According to an email announcement sent to FWIW, Golden's practice there "included prosecuting and defending high-stakes commercial litigation claims [and]... coordinating the national defense of medical device products liability claims in mass tort multi-district litigation." Golden began her legal career at Querrey & Harrow. I am an experienced attorney (concentrating in insurance coverage, insurance litigation and civil appeals). I am certified as a Mediator in the Cook County Law Division Major Case Court-Annexed Civil Mediation Program and the Chancery Division Mediation Program. If you're looking to provide a product or service to Cook County judicial candidates or potential candidates, please take note: I will consider accepting advertisements for products and services aimed at judicial candidates. Advertisements -- clearly labeled as such -- will be put up as posts on the blog for a one-time fee. I reserve the right to edit or reject ad copy or to refuse an ad altogether. Email me at jackleyhane@yahoo.com for information and rates. Judicial candidates and campaigns are not charged for getting their information on this blog. This blog does not make endorsements and no ads for or against any particular candidate will be accepted (the content of Google ads appearing on this page are not under my direct control). Send me an E- Mail? Please note: Sending an email to this blog or leaving a comment to a post does not create, nor should it be construed by you as creating, an attorney-client relationship. Unless a prior request is made, I reserve the right to publish, in whole or part, any e-mails sent to this blog. Please see additional disclaimer at the bottom of this page. I'm now on Facebook -- for what it's worth. Nothing in this blog is meant to create, nor should it be construed by you as creating, an attorney-client relationship. Sending an email to this blog or leaving a comment to a post does not create, nor should it be construed by you as creating, an attorney-client relationship. The opinions expressed in articles posted to this blog are the author's own and do not constitute legal advice on which you can or should rely. The author of this blog is licensed only in the State of Illinois. If you have a legal problem or issue, you should consult a lawyer in the jurisdiction where you live and/or where the problem or issue arose. If you just keep these simple groundrules in mind, all of us -- you, me, and my legal malpractice insurer -- will be much happier. Thank you.